Gun Facts™ debunks common myths about gun control. It is intended as a reference guide for journalists, politicians and anyone interested in learning about gun control facts and restoring honesty to the debate about guns, crime, and the Second Amendment. 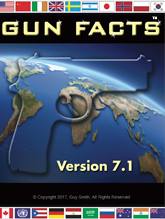 The menu links above, and the free Gun Facts e-book (buttons on the right) provide over 100 pages of indexed information. Divided into chapters based on gun control topics (assault weapons, ballistic finger printing, firearm availability, etc.) makes finding information about gun control facts is quick and easy. Each chapter lists common gun control myths, then lists a number of documented and cited facts (with over 560 detailed footnotes) from high quality, independent sources including government databases, peer reviewed studies, and more. 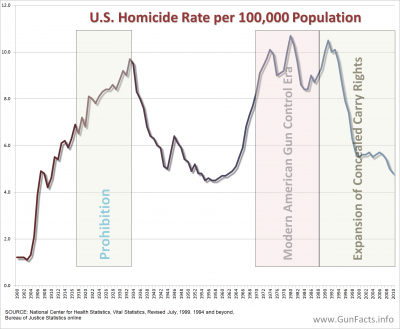 Thus when a neighbor, pundit or politician repeats some sound bite about gun control policy, you can quickly find that myth then rebuke with accurate information. Shooting The Bull, by Gun Facts author Guy Smith, teaches you to spot political lies in real time while exposing the long and lying history of the gun control industry (and it is an industry — just ask their former employee Barack Obama). Shooting the Bull serves two purposes. First, it catalogs the common canards of politicians and activists. Readers will recognize how they have been psychologically scammed by special interests and deceived by elected sycophants. The second purpose of Shooting the Bull is to document the deceits peddled by the gun control lobby. Each chapter is devoted to at least one major initiative proffered by anti-gun activists, exposing their falsities through dissection of their motives, methods and inconvenient facts.